Duke was a by-the-book Babywise baby. He was sleeping 8 hours by 8 weeks and operated well with a dream feed that gradually moved back over time. He had crazy newborn nights like every baby, but once he found his rhythm and fell into 7-8 hours of sleep each night, he never went back. But when Nova was born, the information from that post wasn't very helpful. I figured I'd just do things how I did them with Duke, but that wasn't going to work for her. I had a pretty rough start with her because of nursing issues, so trying to navigate a whole new road to sleep on top of that was hard. Although I thought it would never happen, we did eventually achieve wonderful nights of sleep. Just as I did with Duke, I wanted to map out exactly how Nova started sleeping through the night. First, the eat/wake/sleep pattern needs to be in place. Routine first makes a schedule happen later. After about a month, depending on your baby's weight gain and pediatrician's instructions, a lot of the time, you can let your baby sleep as long as they'd like at night. When we arrived at the 1 month milestone with Nova, I began to implement a consistent morning waketime, just as I did with Duke. I aimed to get that first feed in anywhere between 8-8:45 a.m. So, if she woke around 6:30 a.m. or later, I'd try to hold her off by rocking her with a paci. Most of the time, she'd fall right back asleep and we'd sleep in the recliner until 8 something. If she wouldn't calm down, I'd feed her. Then, I'd wake her back up in the 8-8:45 a.m. time period and do her first morning feed. At 5 weeks, she did one night of 6 hours. At 8 weeks, she did one night of 7 hours. At 2 months, she did one night of 9 hours. Those were all one time deals. She'd do an amazing stretch and then things went back to how they were, which was 4-5 hours between feedings. And sometimes that wasn't even guaranteed! It was frustrating because I knew she could go longer, but I wasn't sure how to get her there. It didn't feel like we were progressing at all. At 10 weeks, I was about to lose it. I had to try something else, so I did 2 things. 1. A friend of mine suggested something she did with her daughter, so I decided I'd give it a try. I kept a consistent bedtime feed, but didn't focus on a consistent morning feed. Why? Because typically, I'd wake her in the 8 o'clock hour and she was just not ready to eat. She'd barely eat, maybe 2 ounces, and that set us up for a wonky day. She'd take a short nap because she didn't get a full first feed, and the day would continue like that. So I decided that whenever she woke up, we'd start the day. As I look back on my feeding schedules, this meant she started her days anywhere from 6:50 a.m. - 8:30 a.m.
2. No more dream feed. I fed sometime around 8-9 p.m. at night and then put her to bed. That DF (which worked so well with Duke) was interrupting her sleep, so I cut it out. I started those 2 things simultaneously and I saw instant improvement. Just like that, she went to just waking once at night. Still not awesome, but much better than a DF and a MOTN feeding. 1. She was gaining well. 3. Her first morning feed was always bad. Most of the time, she'd take 2 ounces and be done. She was barely even interested in eating. That told me that her MOTN feeding was not necessary. She was eating because she could, but not because she needed it. Night one of CIO, she woke around 3 a.m. She wasn't really even crying; it was more of an oops-I'm-awake-so-I-guess-I'll-fuss kind of thing. After a few minutes, she went right back to sleep. And I actually had to wake her that morning at 8:15 a.m.! She did 11 straight hours without a feeding. The next night, no waking at all. She slept 10.5 hours straight. The next, 11 hours. The trend continued and she slept anywhere from 10.5-12 hours each night. No waking. That's with one night of CIO. It's like her little body just needed to be convinced that eating in the MOTN wasn't necessary. As a result, her first morning feeding was better, her schedule started to become more predictable, and I was finally getting to STTN! When it comes to STTN, every baby has their own journey. What has worked for my two children may not work for yours and vice versa. It's important to give yourself grace as you figure out what works best for your baby. And if you're in the trenches of sleep-deprivation and feeling like you'll never sleep again, know that your time is coming! I'd love info on CIO. My baby is 6 weeks old and is still waking 2 times or more a night. We can't seem to get her on a feed, wake, sleep schedule either. She will feed and wake but refuse to sleep and then it's time for her next feed. I put her down for the sleep portion and she will cry the entire time. I'm not sure what I'm doing wrong!! This is my first baby. Any help would be amazing! Hey, Sarah! 6 weeks is still very young, so don't beat yourself up about not being on a solid schedule. :) Following the eat-wake-sleep pattern is great, so keep that up! First question - do you think she's getting full feedings? Just wondering if her crying is due to a hunger issue. Second question - how long is her waketime right now? May I also have the advice you sent Sarah? My baby is fixin to turn 7 weeks and still wakes from 11-12, 2-3, and 4-5 for night feeds. I have been working to get full feeds during day and yesterday had him to min 3.5 oz per day feed but somehow he still won't make it past 3-4 hours at any stretch of the night :/. Any advice would be greatly appreciated!! 1 - Are you doing a dreamfeed? 2 - What do you think her waketime is at right now? I try and wait till I see hunger cues for the night feeds as he seems to wake up himself for food frequently enough during the nighT. I think sometimes it might be considered dream feed cause he pretty much keeps his eyes closed, but I'm not sure. At this time he feeds at 4:30 ish then tries to wake up every hour after that. I am trying to make 6 am his wake up time due to husband and my work schedules. Okay, so your 10pm feed is basically your dreamfeed. The reason I ask about dreamfeed is because some babies don't do well with it. Some babies sleep better when their last feed is around 8 and then they wake you when they are ready. If you want, you could try to get in 5-6 or however many feedings during the day and then put him down around 8 or so. Then let him wake you when he wants to eat. Give a few nights before you decide if it's working or not. If it makes things even crazier, then go back to the dreamfeed and just try to stay really consistent with it at 10 p.m. and keep your days very predictable, in 3 hour EWS cycles. Let me know what you figure out! Hi! i've try easy method with my baby and at 1 month sometimes he eats at 1830 then 0030 ans wake at 6:30. But in a few days he return to wake up at 2330 and other times during the night. I've start to do babywise now (2months)and feed him 7 times until 11pm but he continue to wakes up at night every 1,5 2 hours like morning naps! It's a nightmare! How incan do? He waketime is 1 hour. Sometimes he wakes up early from nap and I offer him his paci. Do tou think i must take him awake 2 Hours before bedtime(7-730pm)? Sorry for my english i'm writing from italy! Thank you so much!!! Hi, rossella! Could you write out your exact feeding schedule? (when he eats, when he goes down for naps, etc.) That will help me know what to suggest! Hi there! Love your big - so helpful! My LO is 7 weeks old! She's done a few 5hour stretches at night but always reverts back to waking up 230am & 5isham. We follow the EWS cycle (she doesn't always nap well). Usually eats at 7-730am / 10 / 1 / 4 / bath at 7 followed by feeding and bedtime then her last feeding at 11. Is it possible that 230am feeding is just out of habit due to her 3 hour daytime schedule? Should we attempt CIO ? If so, any tips or advice for CIO? Thanks in advance! Hi! What I would suggest is not doing the 11 o'clock dreamfeed. (I'm assuming that you're waking her to eat, right?) So either cram another feeding in during the day (example: 7/10/1/4/6/8) or just keep it like you have it, but don't wake her for another late night feeding. That may help to extend her nights. Sometimes waking for a dreamfeed will mess with their sleep patterns in the night, causing them to wake more. So maybe that's something you can try! I'm interested in CIO. My lo is 8.5 weeks old, gaining well, (12.5 lbs), on formula, no reflux issues, and our pediatrician said he didn't really need to eat in the middle of the night anymore - which I agree bc he's waking 2x and only taking about 2 oz. at each feeding and dozing back off. I think he's ready, and I hope I am to implement. Our feeding schedule now is 7, 10, 1, 4, 6, 8. No dreamfeed because it seems to interrupt his sleep, and he usually wakes around 130, and 4 for feeding (or snacking rather...) I'd love to hear any tips you have on CIO. I think we are ready, but I'm a bit nervous, and don't want to do it when he's too little either. Hi! Based on everything you've said, it seems he might just be snacking in the night, like you mentioned. One way you can start cutting those feedings out is by lessening the amount of ounces. Do it in small increments and, hopefully, his body will realize that he doesn't need to eat in the middle of the night. It may be possible that you'll just go down to one feeding at night instead of two for awhile ... but I bet you'll transition out of both of them soon! As for CIO, I've always done the same kind of method with both of my kids. But their age determined how long I'd let them cry. Someone once said to allow them the same minutes as they are weeks old. I liked that because it was straightforward, so that's what we did. So in this instance, it would like like this: Let him cry for 8 minutes. If he's still crying, go in, calm him, pat him, hold him if you need to .. whatever you need to do to soothe him. Then put him back down. And just continue that pattern of 8 minutes. If 8 minutes feels too long, then maybe just start with 2 or 3. You can keep the minutes the same or you can add on. Just whatever you do, do what feels right to you. :) Let me know if you have other questions! I am a stickler when it comes to rules and schedules so every time something does not go according to plan I get very frustrated (plus add the fact that I am beyond sleep deprived). 8, 11, 2, 5, 7, goes down at after a bottle or fights until he falls asleep (sometimes it takes me an hour). I was doing a dream feed but I don’t believe it was working for him. Naps are also quite hard as he resists going, but when he goes he sleeps from 45 minutes to 2 hours (it really depends). I forgot to mention that after the last feeding which is sometimes 7:30 or 8:00, he then wakes up at 11:30 or so on his own and I feed him. I tried to consistently give him 4 oz but I have to force him as he struggles to finish 3 oz at a time. The nights are absolutely horrendous. Sometimes he wakes up 4 to 5 times and sometimes only 2 times (the typical between 2 and 3 am and 5 or 6 am). I am just trying to have him wake up only twice (don’t mind MOTN feed) as long as he goes to bed right after. Also, when he wakes up at 5:30 or 6:00 there is nothing that would make him sleep - so my dear husband takes him until 8am so that I can sleep 2 hours straight. Can you tell me what can I do to make this “bootcamp” period more enjoyable? You are in the toughest spot. In my short 4 years of motherhood with 2 kids, I can honestly say those first months are the hardest. So I totally get you. Have you thought about cluster feeding at night so that you fit in one more "daytime" feeding? So possibly a schedule would look like this - 8, 11, 2, 5, 7, 9 then bed. That way he's getting 6 feedings in during the day. And I'm wondering if maybe he'll start waking up less? Let me know what you think about all of this and we'll go from there! Thanks for getting back to me, Claire! I will definitely try to fit in 1 more cluster feed, but then, should I wake him up to do the 9pm one? Looking forward to your response. Once again, thank you for your help! Great! I'll email you and we'll talk there! Her middle of the night feeds are very inconsistent. How do I 1) make them consistent and 2) Start dropping them? Your schedule looks really great! As far as the night feeds go, I wouldn't be too concerned about getting them to fall consistently. Your MOTN feeds will most likely go away on their own as your baby figures out she can go longer. And if they don't, you can resort to other things - like offering less ounces/less time nursing during night feeds or trying CIO. My son just gradually went longer and we didn't really have to "teach" him to. With my daughter, as I wrote in this blog post, we did have to push her a bit. But I knew she was ready. If you feel she is ready and gaining weight well, one thing you could try now is seeing if she would cut down to one night feeding rather than two. You could try weaning off of the 4-7am one by doing the things I mentioned above (either offering less ounces/nursing time and gradually cutting back, or giving her a few minutes to cry and see if she'll soothe herself back to sleep). It may work or she may not be ready, so you'll just have to feel it out and see how she responds. This is so helpful! My son is almost 8 weeks old and breastfed. We have him on a 7, 10, 1, 4, 7, 10 schedule, but he's always up at 2:30 and 5:30 (even if I push his dreamfeed later). Based on your advice, I think I'll try eliminating the dream feed, but then should I try and do 7,10,1,4,6 and 8? Thanks for any help and Merry Christmas! Hi! I'll answer here so others can see, but I'll email you too so we can continue the convo there. :) Yes, I think a 7,10,1,4,6,8 schedule would be great to try! And if it doesn't work, then doing a dream feed is just fine, especially since he's just 8 weeks. Since you say he's waking often at naps, I wonder if he's overtired? What's his waketime at right now? And for his naps, is he sleeping in his crib or is all of his sleep on you or in the swing? Hi! My son is 16 weeks and is 17lbs! He is still waking around 1-2am and then 4-5am at night. We have a nice retry consistent daytime schedule and bedtime. He puts himself to sleep no problem. He is on a 3hr schedule. 7, 10, 1, 4, 6:30/7. Bedtime after last feeding. His naps are only about 45min. Any tips to get him to sleep longer? He always wakes around 10/10:30 to eat but is up around 1-2am. I think he has done maybe 2-3 nights sleeping more than 4 hrs. He is my 3rd baby so we are tired! My husband usually gets up to try to put him back to sleep but he just wakes up. Nursing only works. Help! Hi, Jessica! My first thought was waketime. With 3 kiddos, I can only imagine it's a little tricky to even recall how long he's been awake let alone be able to keep a consistent waketime all day! But I'm wondering if it's a domino effect ... overtired for naps, only takes 45 minutes naps, overtired for night sleep, wakes often at night. Let me know about waketime and we'll go from there! Hello, I have a 7 week old boy (second child, first time doing baby wise). He's pretty sensitive and needs a lot of sleep, unable to handle a long wake time. We overtired him first few weeks bc we didn't realize he couldn't stay awake that long. Then we realized his wake time was 26 min. We stretched it to 35 but then a weekend out two days in a row set us back to 24-25 min wake time. His schedule is pretty different every day bc his naps have become so varied. We try and start day 630/7, 930, 12, 230, 5, 730, 10. Then he wakes around 1-2, 330-430. It varies a lot. If he wakes early from nap and is ahead of 2.5 schedule, we let him CIO but if he cries too long we put him to sleep in ergo until it's time to eat 2.5-3 hrs after last feeding. Do you have any suggestions as to how to be more consistent in scheduling, achieving a longer wake time and helping him move towards the first merge? I would say that focusing on waketime like you're doing is a great idea. For me, I've seen that once the daytime schedule finds a rhythm, the night time follows. So it may be that you guys just work on figuring out the optimal waketime for him. And it may gradually increase by a few minutes throughout the day. I would say maybe 50 minutes to an hour would be average. (And remember - waketime includes feeding time.) You're doing a great job and these first couple months are the hardest! Once you find a rhythm, things will fall into place. Let me know if you notice an improvement in naps once you figure out a good waketime! Hi Claire, would love some advice! DS is 13 weeks and around 13 lbs. We are generally on a 7, 10, 1, 4, 6, 8 daytime schedule. Nights have been horrendous. Every week and a half or so he does a 3 night stretch of good sleep- 6, 7, or 8 hours. This started around 8 weeks. He then goes back to crazy wake times the next few nights. Two nights ago he slept 8:30-2:00, then was up again at 4:30 and 6:30. Last night he was up at 11:45, 4:00 and 7:30. I'm at a loss because his motn feedings are so all over the place. Also, it seems like any changes we make during the day (longer wake time, shorter wake time, extra feeding, dream feed, etc) don't make a difference. Or, it will seem like one of those makes a difference, but after 3 nights of longer sleep we are back to square one. Any advice you have would be appreciated! That is very frustrating, I know. :/ I will say, I have found that with night sleep, sometimes it's a "3 steps forward, 2 steps back" kind of thing. So don't be discouraged! Having your schedule in place will be beneficial, even if it seems chaotic right now. 2 - Does he seem to do okay eating 4-6-8 in the evenings? One of my babies did great with cramming in feedings like that and one didn't. So I just thought it was worth asking. There's always the possibility that if he's not getting full enough feedings for those because they're closer together, that it's making him hungry at night. 9, and then a dream feed at 11. I usually have to wake him for the dream feed, so I'm considering dropping that. For the past week or so, he has just been snacking during his nighttime feeds (which are something like 1am, 3/4am, and 5am, and then my husband gets up and leaves at 6:15am for work). I'm pretty exhausted (although I feel better reading your post and these comments-- at least us moms are all exhausted together!). Besides eliminating the dream feed, should I work really hard to keep the 6:30am feed consistent? Truthfully, it's torturous sometimes to wake him at 6:30am, especially if we just woke up at 5am, but I'm willing to give it all I've got if it would help. Naps aren't bad, although many times he'll just sleep an hour. He seems pretty happy and alert during his wake times, which are around 30-40 mins after feeding...so like 1 hr or 1.5 hrs total. I try to watch for signs of tiredness so they I don't over tire him, but his cycles still are almost always 2.5 hrs during the day instead of 3 hrs. Any advice would be so appreciated! My email is Jessica.k.schildt@biola.edu. He was on a 7/10/1/4/7/11/4 schedule but for the last week he's slept til 6/6:30 for 2+ nights. Now he wakes up at 3:30 am and 4:30 am and I give him a paci and he goes back to sleep. Then he's been waking around 5/5:30 and I hold him off until 6/6:30 to start his day by holding and rocking him. He's still so little so I'm not sure he's ready to drop MONF. My husband has to wake him up at 11 pm to feed him. Sometimes he has a good feed at this time and other times he doesn't get a full feed. All of that looks pretty good! One idea you could try is skipping over the dreamfeed. Since he's been waking in the night anyway, you could keep a MOTN feed, but just do his bedtime at 8/8:30 and let him wake you when he wants to eat in the night. And hopefully he'll still stretch to 6/6:30 for his waketime (or maybe even later!). And if this backfires and makes the nights crazier, then go back to what you know. I just know that dreamfeeds work for some babies and not for others, so it might be worth a shot to see how it affects his nights! Let me know how it goes. I typed up a comment a couple days ago but don't see it here, so I must have done something wrong. I'll try again! My son is 5 weeks old, and I exclusively pump. My question is in relation to naps. He's on a 3 hour schedule (7, 10, 1, 4, etc.). Right now he sleeps pretty well MOST nights, waking on his own every 3 hours. There have been times where he seems to wake at 5:30 (halfway through) crying, and I'm not really sure what that's about because he's been fed and changed. It doesn't seem to be a gas issue either as he won't burp. He generally will fall asleep in our arms then. However, during the day I'm concerned he's not getting enough sleep. He can't seem to sleep through a nap time. His wake time is approximately 50 minutes. I watch for him to yawn and/or get fussy, and put him down then. Sometimes he will just lie there and stare without crying for upwards of 20-30 minutes, which makes me question if he doesn't need a longer wake time. However, I watch carefully for those sleep cues, and he's giving them! I'd hate to put him down too late, which I believe I was doing before, and he got overtired. Other times he will fuss for a minute or two and fall asleep. If he fusses right away when I put him down and it lasts longer than a few minutes, I let him CIO, which generally works. As for the waking early at 5:30, I would say that I think babies go through weird phases like that, and a lot of times, it happens to be an early waking thing. I would just say to stay consistent with what you're doing and extending that waketime I think will gradually fall into place. I definitely do think that great naps help with great night sleep. So you're right to be thinking about getting his sleep during the day figured out! 50 minute waketime seems pretty spot on for this age. Are there certain naps that seem worse than others? It may be that your waketime needs to slightly increase throughout the day (by really small increments - like 5 minutes). 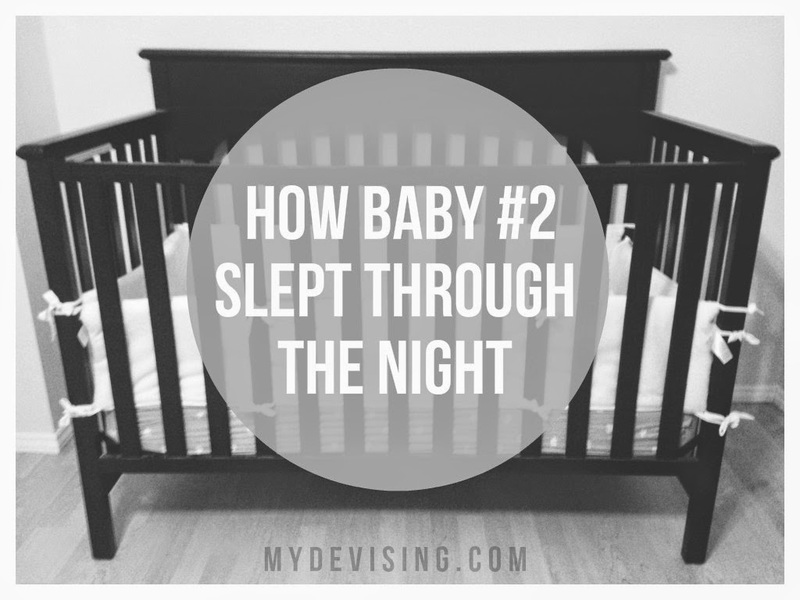 That 30-45 minute waking issue can be so exhausting and frustrating for both you and baby! I totally get it. My first suggestion is to double check that he's not actually hungry. Have you tried feeding him when he wakes this early? If he takes a full feeding, then it's a hunger issue. Possibly a growth spurt? If it's just a snack, then you know it wasn't hunger, but more of a just a nap issue. Like you said, my immediate thing to check is waketime. So maybe experiment with different waketimes (not too different, just moving things around in 5 min. increments) and see if that changes anything. You're definitely not doing anything wrong. I think ALL babies go through weird nap phases like this, especially this young. But you're doing exactly what you can do - responding to cues, troubleshooting and trying different things, paying attention to your baby's needs, and working towards good sleep habits. Those are all great things and will definitely pay off! Let me know how things are going. I've found your blog extremely useful and have been trying to start implementing a better EWS cycle for my 7 week old daughter. Our pattern for the most part is 6.30, 9.30, 12.30, 3.30, 6.30, 8-8.30 during the day. Then she can go through from her bedtime feed to anywhere between 2-3.30am so I know that she is capable of longer stretches of sleep...just not at the right time! We have tried implementing a dreamfeed for a few nights at around midnight but she still seemed to be waking exactly 3hrs later around her usual 3-3.30am feed. Do you think that we should persevere with the dreamfeed for a bit longer to see if it helps her to cut out/delay her MOTN feed a bit longer? Any advice would be much appreciated! She is currently FF and takes on average around 4oz/feed or 120ml although this is set to increase imminently as she is currently 4.8kilos/10.5lbs and were due to up her intake accordingly. Hi! Sorry I'm late responding! How is the night sleep? Is she STTN yet? I found your site very useful and would like to ask you to help with my 2 months old sleeping issues. I started to implement eat play sleep about 3 weeks ago as my daughter was having nursing issues and we got that out of the way before I started the routine. I started schedule about two weeks ago when my husband went back to work from leave. First 1.5 weeks were great, pretty much stick to eat play sleep and 3 hours schedule. Naps were from 30 mins to 2 hrs. Her schedule is 7, 10, 1, 4, 6, 8, 10 and wake once at 4:30-5am for feed. She had one night of 6 hrs and one night of 7 hrs before I implemented the routine and schedule which both times she went to bed at 2am. Starting from last week her naps have been less than 30 mins, I have tried nap time by sleeping cues, waketime from 1 hr to 3 hrs and still ended up with 30 mins naps. I am not sure what else to do to extend her naps. I also want to eliminate the 5am feed, she usually takes ⅔ of feed at that time, not a full feed. She was 9 lbs at 7.5 weeks, haven’t weight her since. I am also interested to know about CIO, when would be a good time to do it? Do I need to fix her naps first? Forgot to mention, after her 10pm feed, she goes to bed around 11ish, so she sleeps around 5.5 hrs then she will wake to eat. Thanks! Hey! Sorry I'm late responding! How's the schedule now? Have naps improved at all? My first thing I always address when naps are short is waketime. Have you found a waketime that works and makes the naps longer? Hi! It's been much better since I last commented. She is 15 weeks old today and she has been STTN for 8-9 hrs. Some days she can do 10 hrs. Her naps are improving this past week, her waketime is close to 2 hrs!! Her naps are 45 mins to 1.5 hrs depending if she can fall back to sleep after the 45 mins intruder. I am trying to bring up the bedtime to see if she can sleep 10-11 hrs since I notice she started to get sleeping around 8ish, her current bedtime is around 9:30. I am sort of afraid of the upcoming 4 months sleep regression, how did your kids do with 4 months sleep regression after they have been consistently STTN? Thanks! So glad things got better for you! Hope the 4 month regression didn't hit you and that things are going well! I can't tell if he's eating a ton during the MOTN feeding - he seems ravenous as first and then appears bored and distracted. This morning I weighed his first feed of the day and he took 4.25 oz, a decent amount. Based on this, do you think I should try decreasing the time for the MOTN feeding (I breastfeed). So sorry I'm just getting around to reading this comment! I hope you figured things out and that he's doing well! And then that five o clock feed. We'd love to cut one of these night feeds. Which one would you recommend and how? How many nights until it clicks. Ideally we want him to wake about 7ish in the am, not five ish like he has. Yes, I would have advised just as you said - to squeeze in one extra feed during the day. So the evening would be more of a cluster feed situation. Did you find something that worked for you all? I just recently came across your blog as I have been desperately searching for advice with eat/sleep for my 8 week old boy. We started off life great doing 3 hour stretches and I thought we were going to be a babywise baby, and then I feel like at 3 or 4 weeks during a growth spurt we never recovered. During the day I try the eat/wake/sleep method but in the morning hours up till about noon it is very hard to keep him awake. Even when I can make sure he takes a full feed and stays awake he is just plain hungry again 2 hours later. I never have any trouble during the night with him going back to sleep, it is just that he seems to be hungry all the time! I have checked my milk supply by pumping and I think I’m ok. Prior to last night he had given me two nights of feeding about 5pm, 7, 8, 12, 3:30, 6:30, 9. Last night it was 7:30, 8:30, 12, 3, 5, 7 and there is just no keeping him awake at the moment. I’ve tried the dream feed and he just doesn’t understand what is going on and won’t eat. Each day I feel like we get on a 3 hour schedule, he totally messes up my times the next. Am I truly supposed to hold him off and let him cry and be hungry to stick to 3 hours? I don’t seem to have the heart for that, but maybe that is what it will take? I’m so desperate for some more sleep and more structure that I’m willing to give anything a try. I feel so far off from where the babywise book says I should be and from what yours and other blogs demonstrate. I see everyone commenting they get 5-6 hours, etc and I am so insanely jealous it almost makes me cry (ok maybe not almost…it does make me cry). I would greatly appreciate any tips or advice you have! I looked for an email to reach out with but didn't find any contact info. Oh and last week we struggled with him waking up regularly and not taking a full feed so I thought the answer might be some how eliminating a night feed to make sure he takes a full feed each time, but this week he is taking full feeds even at the 2 hour intervals. I'm so lost on what I'm doing and I'd say the majority of my friends never did a schedule and they say he will just start sleeping more one day but not sure I can make it to that far off day!! one more thing....i have also tried so hard to get him to sleep in crib but he hates it so i try it more for naps now and reverted backwards back to the rock n play for the night thinking if i could get him to sleep longer knowing its not the crib that is waking him that would be better. do you have any posts on transitioning beds?